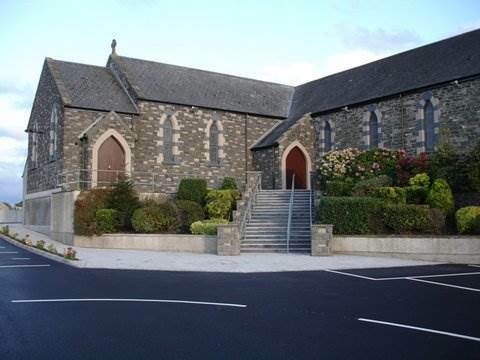 As the weeks went by and Summer changed to Autumn, everyday brought a change to the visible external characteristics of St Mary Star of the Sea. 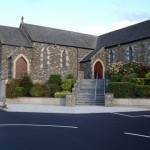 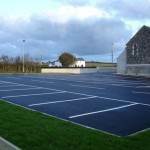 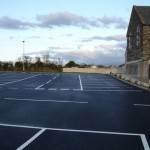 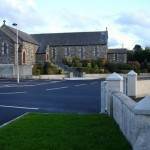 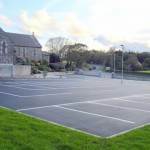 As you can see from the photographs, we have our new car park which has been lined out and has capacity for at least 80 cars with sufficient space between the lanes to accommodate even more cars if parishioners park carefully. 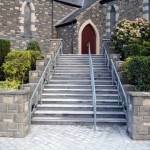 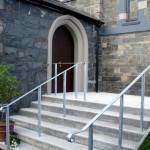 The steps at the front which had been crumbling away and were in a dangerous condition have now been replaced with modern and stylish granite steps which complement the brickwork of the Church. 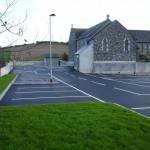 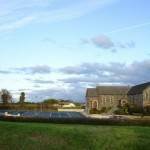 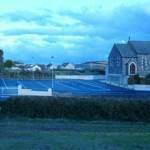 New modern and energy efficient external lighting has been provided to light the car park and surrounding pathways around the Church. 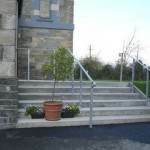 Access for people with disabilities has been provided with a new gently sloping walkway being built at the rear car park and has opened up this part of the Church grounds to make a very pleasant entrance way. 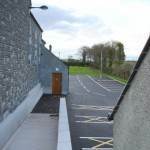 A new boiler house and external toilet have been built and everything has been finished to a very high standard. 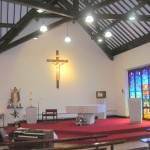 Repairs were also made to the roof to stop leaks and dampness. 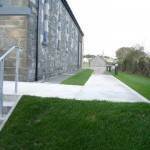 New guttering and downpipes were also provided to ensure the fabric of the building is protected from rainwater. 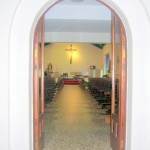 Internally, the Sacristy was re-modelled to provide more privacy in the Priest’s room while additional storage facilities and space for the altar servers has been provided. 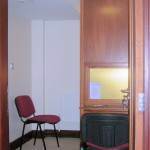 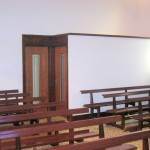 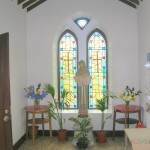 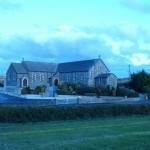 A new Confessional was also built which is in line with all disability requirements. 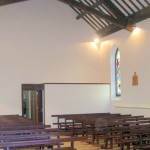 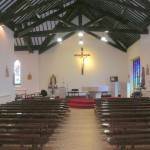 While these are the main internal changes, new energy efficient lighting was provided for the altar and the whole building was given a fresh coat of paint including the seating.